Everybody’s searching for the “Magic Frequency”. And that’s good. From my perspective, every frequency has its own attributes. With that said, I don’t think there is one frequency that is the “be all” and “end all” of frequencies—the one that will heal everyone or do other remarkable, spectacular and utterly amazing things. I wrote about this topic in detail in THE 7 SECRETS OF SOUND HEALING. I think that one of the important things to remember about different frequencies is that whether we view them horizontally or vertically, the effect of one frequency has a lot to do with the other frequencies (or notes) it’s related to. In India, the relationships of the notes could be considered to be vertical. Think of the notes as a straight line. This relationship is linear and sequential. What note goes before or after another note is the key. Thus the power of the raga is contained in the notes that follow each other. In the West, we tend to focus more on the harmonic relationships of notes as they are struck together. 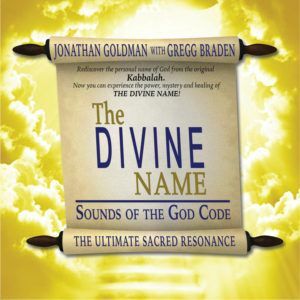 You could perceive of this as being the horizontal relationship of frequencies with one note above or below another note. From my perspective, this horizontal relationship of two notes simultaneously occurring is particularly effective in creating different ratios and different geometries. I believe, as we progress in our awareness of sound, that these different sonic relationships will become more important. And we won’t simply be looking for the “magic” frequency, but rather, the “magic” frequencies—meaning it’s not just one note but rather a sequence of notes, either occurring horizontally or vertically that’s most effective. Throughout my work I have discussed the merits of many different frequencies. But as I’ve written above, I think it’s the relationship of the different frequencies (the notes) that really is the main contributing factor to the effect (that factor plus the power of our Intent!). With the Lemurian Tuning Forks, we have 4 tuning forks. They are in the ratio of 3:4:5 and also “Phi” (the Phi ratio is based upon the “4” ratio tuning fork and the other tuning fork which was created by multiplying the frequency of the “4” tuning fork by the irrational number of Phi). Yes, I did use 432 Hz. as the frequency for the “4” tuning fork. And if you wanted, you could figure out the frequencies of the other tuning forks. But I’m just curious—why the interest? This particular combination of tuning fork ratios is rather unique and the specific frequencies they manifest won’t be found in any other set. These are sacred ratios that are quite powerful and effective. From one perspective, I think that the 3:4:5 and “Phi” ratio tuning forks is really a natural and I’m quite surprised that no one has put them together before. I was in deep meditation and received inspiration to create a set of these ratios. Then our Healing Sounds team (composed of myself, Andi, Joshua and Alec) began experimenting with them. And we were all quite pleased with the results. 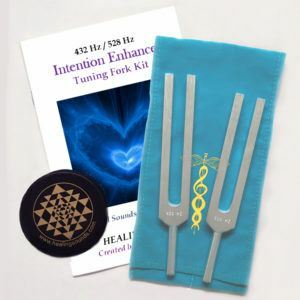 The idea of creating a diamond shaped energy field (one of the effects of these tuning forks) is something that we do every year at the Healing Sounds Intensive. But it is nothing I’d ever thought about creating with regard to tuning forks that could create this field until that deep meditation. Thus we now have the Lemurian Tuning Forks, named after those folks who may have existed in ancient times on an island in the Pacific. They were supposed to have been quite spiritually advanced and from my perspective, that spinning diamond shaped energy field is quite an elevated phenomenon to receive and perceive. What are the frequencies? I would like to gently suggest that is not the most important consideration. It’s the field effect that I think matters most and this is based upon the ratios. 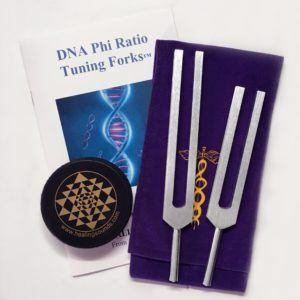 I trust that once you start working with these tuning forks that you’ll agree—the frequency or notes don’t matter. But their combined effect does. Happy Spinning Diamond Fields to you! 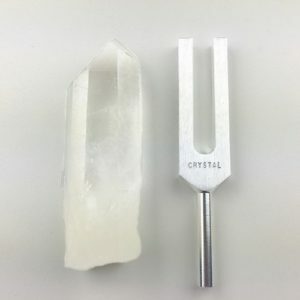 I absolutely love the Lemurian tuning forks. The first time I use them I went into the deepest meditative place I have ever been in. I use them now before all my meditations. I also use them at night when i go to bed, It helps me go to sleep very easily. I usually take 1 hour to go to sleep but with the tuning forks I am out very quickly. 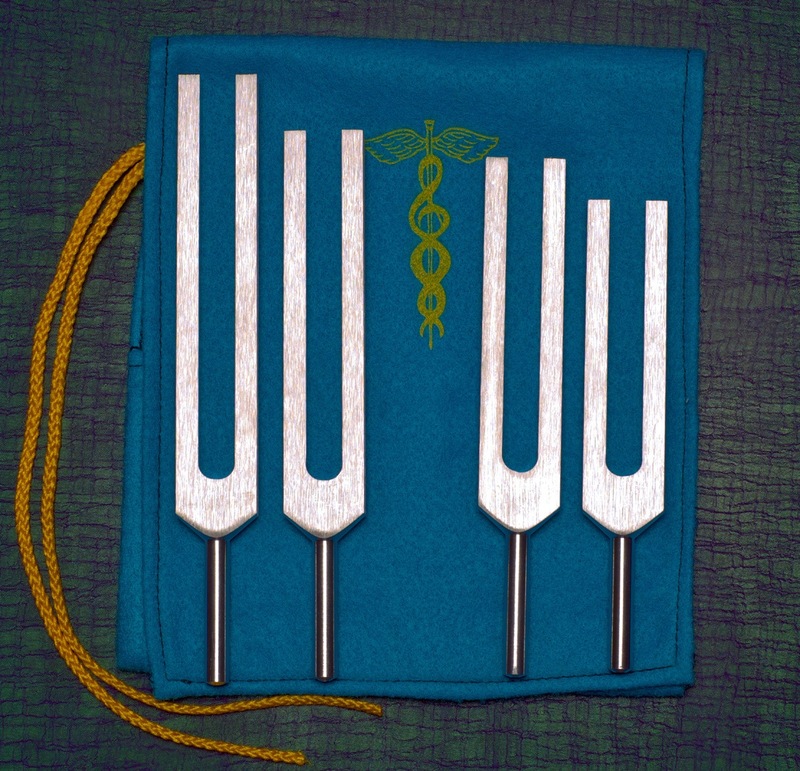 I do healings with the Solfeggio tuning forks but use the Lemurians to help my clients relax. Just love the lemurian forks so much and cant thank you enough for introducing them to me.